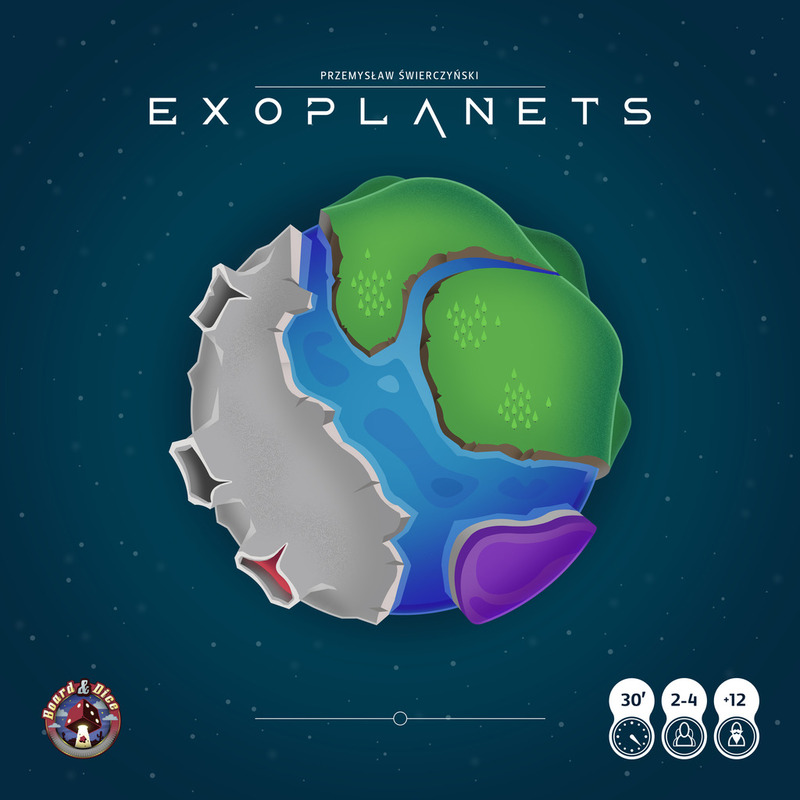 Exoplanets is a lot of things, it’s original, has a very nice theme, clean good looking visuals. All very good ingredients for a game. And it’s on Kickstarter right now. The man behind Exoplanets is Przemek Świerczyński and he’s also the illustrator of the very nice looking clean art. But the main driving force comes from the two Polish guys Filip Głowacz and Irek Huszcza that together form Board&Dice. The game plays in a very simple yet unique way. 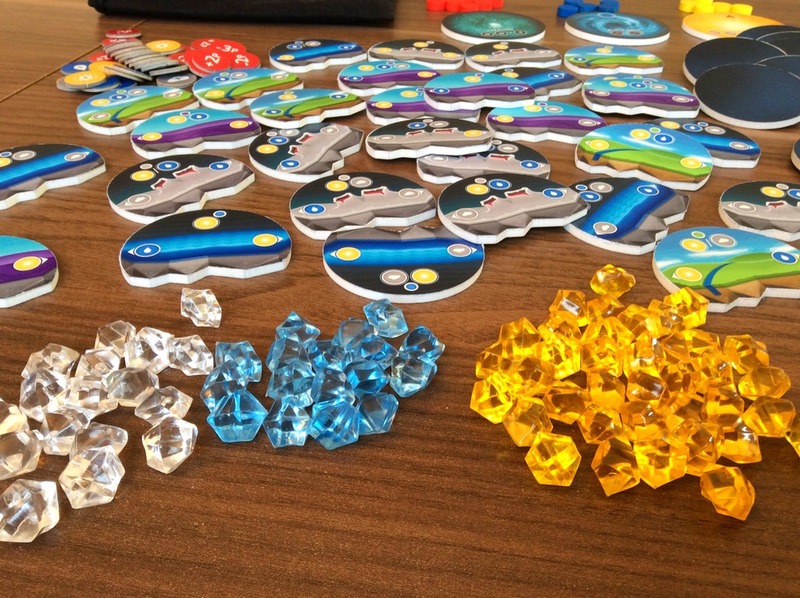 You spend your turns drawing planets and then playing them to gain resources, that you later use to develop life (and that’s the main way you score points at the end of the game). 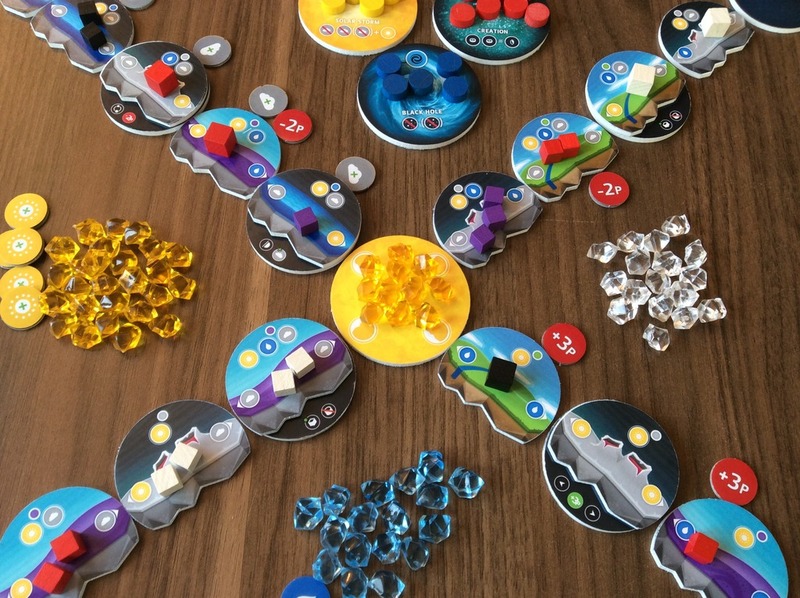 Any players can create life on any planet, but as soon as one player controls 4 tokens of life on a planet they become the dominant species there and wipe all other ones (that’s life for you). When you play a planet you get a space title that can be used in different ways. Either as bonus points at the end of the game (if you meet the requirements) or you can play them at planets. They will normally affect several planets, not just yours, so they can really change the balance of the game. This is of course only a VERY simplified description of the game, it goes deeper than that. I must say I find the game very intriguing, and it’s one of those games I just can’t live without. 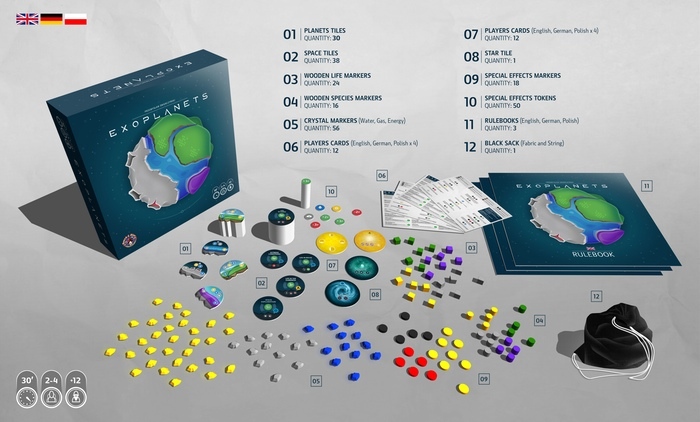 The game is on Kickstarter until June 20th 2015, and can be picked up for a mere 30$. Shipping is a bit different than most games since it will ship from Germany, meaning European backers will find rates lower than US backers (good news for some, bad news for others).